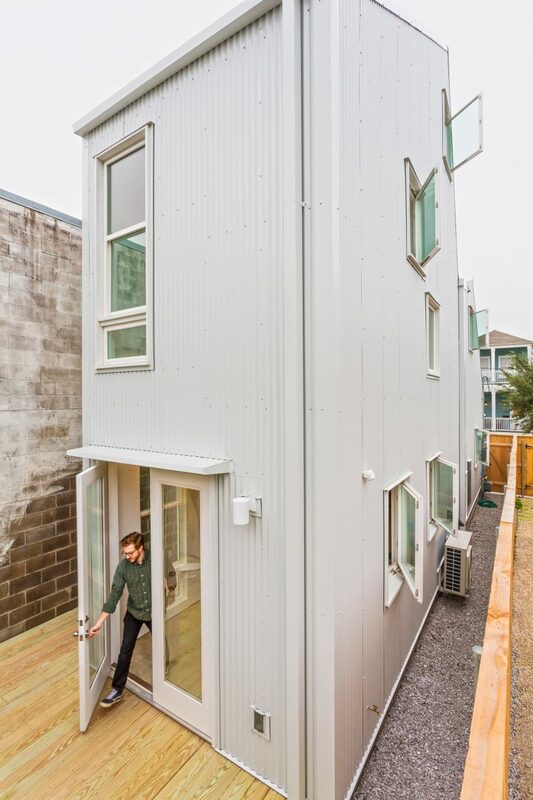 Architecture firm Office of Jonathan Tate has designed a tall, narrow dwelling in Louisiana that offers a new approach towards entry-level homes in America. 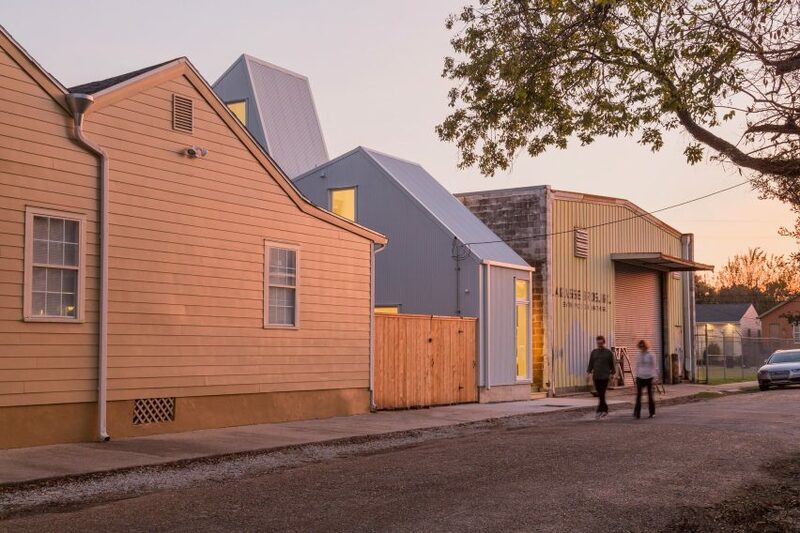 The project – Starter Home No 1, 3106 St Thomas – is located in New Orleans’ Irish Channel neighbourhood, which runs alongside the Mississippi River. It is the first completed dwelling in a programme aimed at increasing opportunities for people to own their first home. 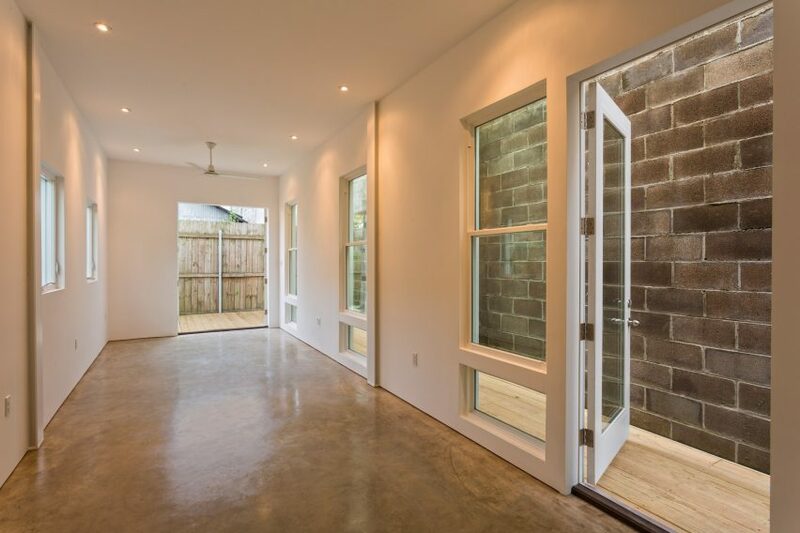 Launched by local firm Office of Jonathan Tate – often referred to as OJT – the Starter Home program is focused on building entry-level homes on “overlooked” urban properties. Rather than using a cookie-cutter approach, the programme aims to tailor each home’s design to its specific site conditions and the programmatic needs of prospective buyers. Moreover, the homes are meant to respond to environmental concerns and to embody a “right-sized” approach to living. The firm envisions the dwellings being built without government subsidies. Instead, projects would be financed through a genuine collaboration between developer, builder and architect. OJT believes that the Starter Home programme can help promote economic diversity in neighbourhoods, particularly those experiencing gentrification. The “starter home” has long been an important facet of the American housing market, but it has faded in recent years due to the escalating cost of home ownership. “The Starter Home programme is fundamentally about using inventive land strategies coupled with design to develop home ownership opportunities in urban neighbourhoods that, due to upward economic pressures, are no longer assessable to large parts of the population,” said OJT in a project description. For the inaugural house, the firm conceived a dwelling with one bedroom, one and a half bathrooms, and an office. The design was targeted for “an individual or a couple who, as a category, have found it increasingly difficult to locate available housing in this neighbourhood”. The project was backed by local developer Charles Rutledge. 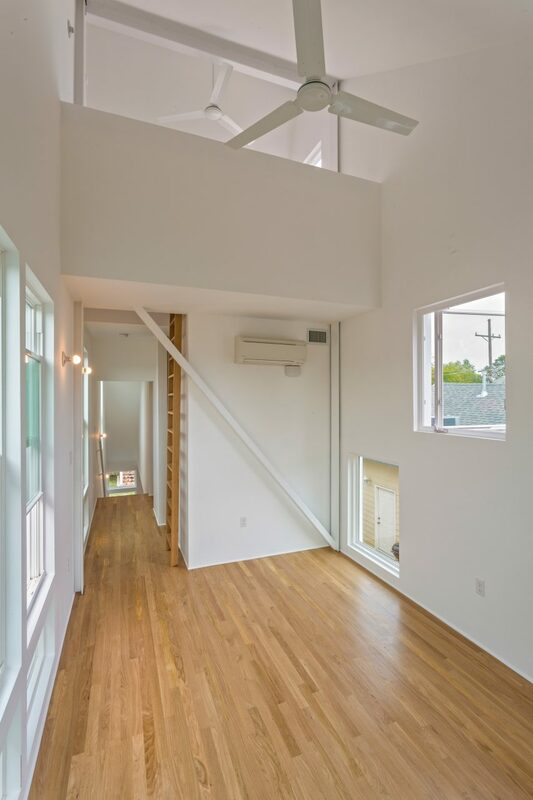 The dwelling occupies a slender site at 3106 St Thomas Street that is sandwiched between a low-scale warehouse and a historic two-family home. The property, which measures 16.5 by 55 feet (five by 17 metres), was formerly the backyard of an adjacent residence. Due to setback rules, the building footprint was limited to 10.5 by 45 feet (3.2 by 14 metres). The architect was further restricted by guidelines imposed by a preservation commission. The Irish Channel neighbourhood is a designated historic district, which means that new developments must adhere to strict guidelines regarding scale and massing. In response, the design team conceived a slender, 975-square-foot (90-square-metre) home that rises three storeys. Rectangular in plan, the wood- and steel-framed building has exterior walls clad in corrugated metal and punctuated with off-the-shelf windows and doors. A multi-pitched roof gives a highly sculptural profile. 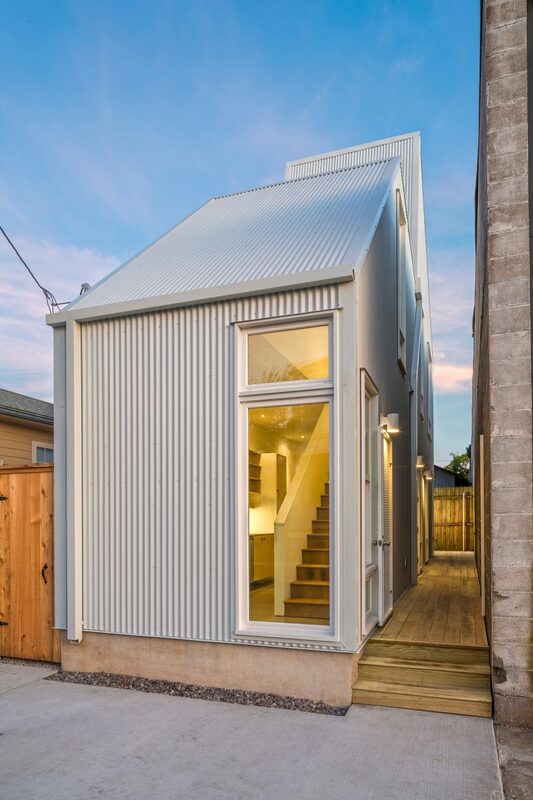 “The result is a narrow and tall structure that, through manipulation of the roof plane, is disguised from the street, read essentially as a low, one-storey roof line, while the remainder of the home climbed up to the allowable building height,” the firm said. To economise space, the team placed the front door on the side of the home. An elevated, wooden deck runs between the entrance elevation and the adjacent warehouse, and connects to a terrace in the rear. Inside, the team used simple finishes, such as white drywall and concrete and wooden flooring. “The design of the home works within, and expressive of, the restrictive conditions of the site, resulting in a fitting yet peculiar new housing type for the city,” the team said. The home cost $250,000 (£189,000) to construct and sold for approximately $315,000 (£238,000). The team expects that the price will go down as more homes are produced. OJT hopes its Starter Home programme will take off in New Orleans and beyond. It already has 17 additional projects either completed or in progress. 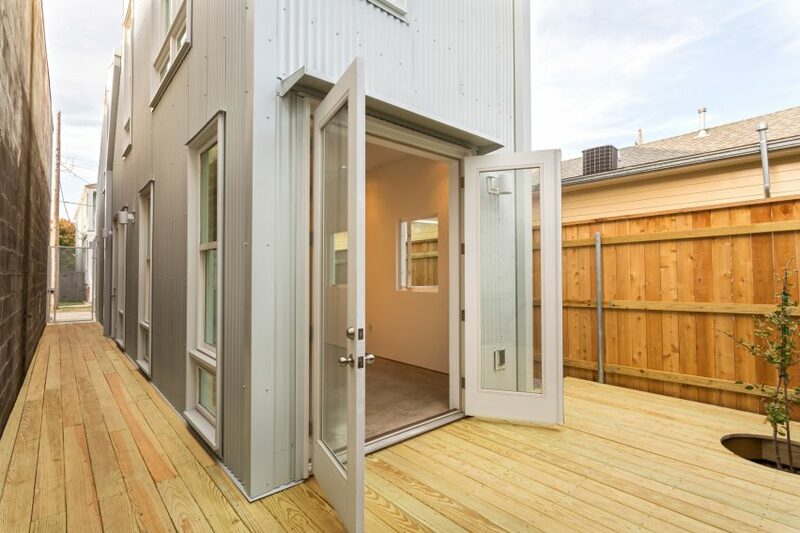 “Future Starter Homes will continue to explore land-use, programmatic and spatial variations that position them as alternatives to the regimens of the normative speculative housing marketplace,” the firm said. The rising cost of housing is a topic of concern around the globe. 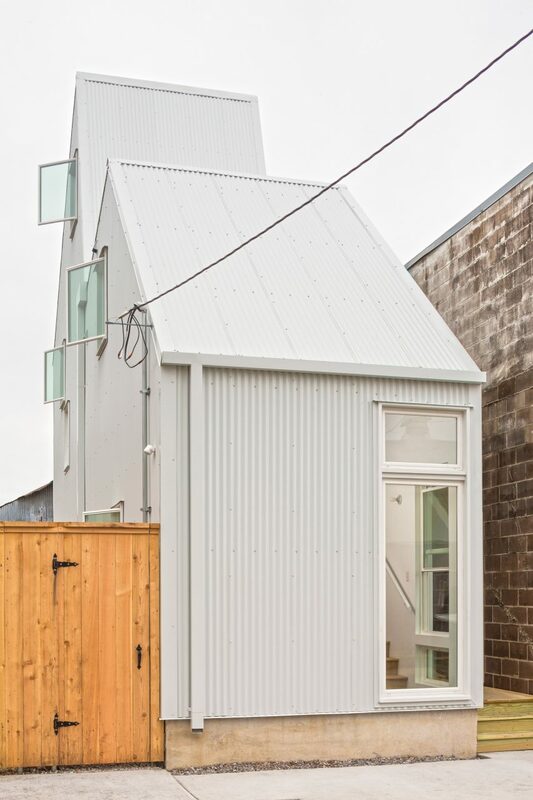 Other solutions to the issue include laneway housing, such as a compact dwelling in Calgary by Studio North, and proposals to sell unfinished “DIY” homes that residents must complete themselves. Photography is by William Crocker.